Members must be enrolled in the Cat project by June 1st. 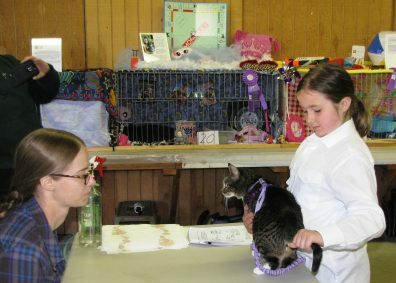 Animals must be under the management and care of the 4-H member 60 days prior to fair. Animals will be vet. checked prior to enter in fair and must be free of parasites and diseases. Cats must provide a completed, signed WSU Rabies Vaccination Certificate showing proof of current distemper series with chlamydia and proof rabies vaccination to enter at fair. Feline Leukemia test and shots are suggested but not required. Cats may be purebred or crossbred. Kittens must be at least 4 months old at time of the County Fair.